Virginia Gov. Ralph Northam under fire after racist yearbook photos surface. A look ahead to the State of the Union. Michael Cohen to testify behind closed doors. We’ll look ahead at a big week in Washington. The Root: "Instead of Just Saying 'Wowwwww' Like the Rest of Us Men When We Get Caught Lying, Gov. 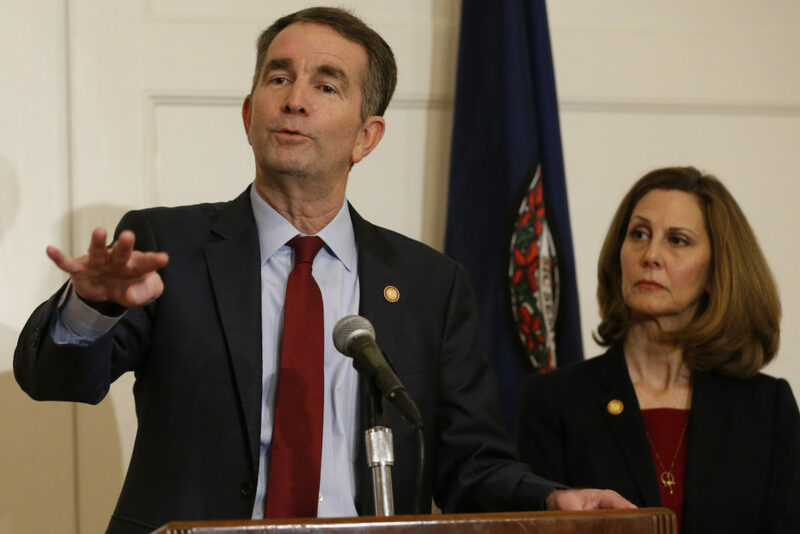 Ralph Northam Refuses to Resign After Racist Picture Surfaces" — "Remember that whole KKK/Blackface/white people white-peopling yearbook photo thing that Va. Governor Ralph Northam got himself caught up in when he broke the Internet on Friday? "Now he’s claiming the picture in question—a yearbook photo in which an upstanding citizen in blackface is flanked by another dressed in his finest Ku Klux Klan garments—isn’t him. No really." "The state of our union is fractured. And that makes us weak. "There are plenty of positive indicators. Unemployment is still below 4 percent. Economic growth has averaged 3 percent over the past year and a half. Median wages are finally rising in real terms. "These things matter, as many others do, but they sit on the surface. The health of the republic does not begin and end with the economy. The health is not identical to wealth. What lies beneath is rotting, and good surface conditions cannot persist for long around a rotting core. "At the core of our country right now is far too much discord amounting to hatred. We have lost the ability to debate civilly. We are losing shared customs and shared culture. Our values are diverging so dramatically that we increasingly believe opposing views are not merely incorrect but intolerable and can be held only by those who are fools or are evil. Recent weeks bear this out." The Hill: "Trump builds anticipation around State of the Union" — "President Trump is building anticipation around his forthcoming State of the Union speech, including hinting at potential newsmaking announcements that may arrive in the annual address to the nation. "Trump has declined to definitively share details about his meeting with North Korean leader Kim Jong Un or whether he will declare a national emergency to direct construction of a wall along the southern border, instead teasing that such high-profile questions will be answered in his speech. "The president twice last week confirmed that his next meeting with Kim would take place at the end of February but declined to elaborate. "'Early next week, probably State of the Union,' he told reporters Thursday when asked for additional details."